We really enjoyed hanging out with Anton and Mel for a over a week and a half on the islands. 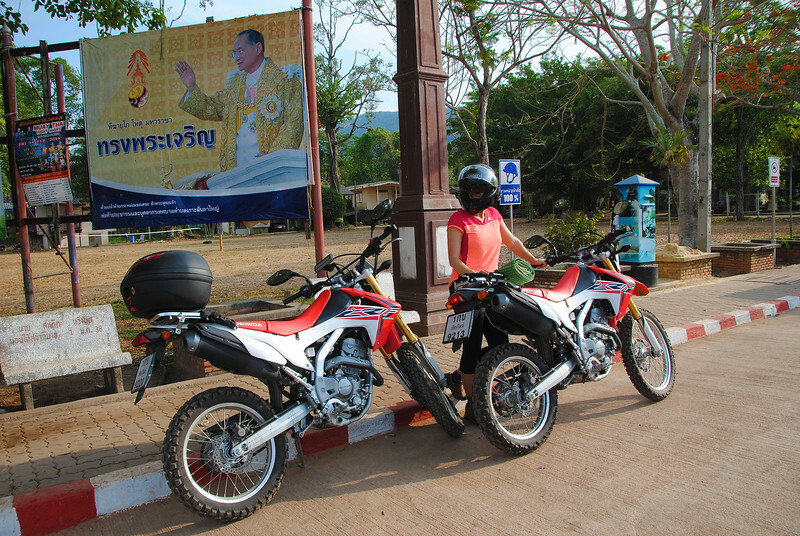 Despite the higher costs, it gave us a new angle on living in Thailand. So we're going to try island living on for size for a short period. 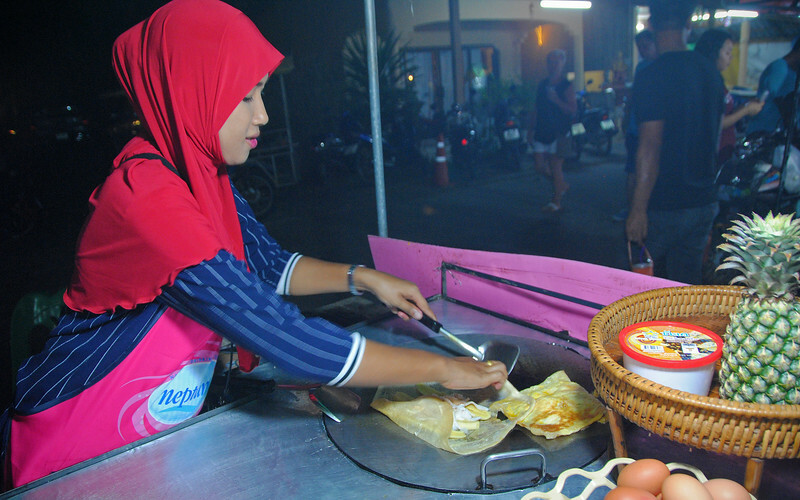 This time, we'll have our motorcycles with us, so no having to haggle with tuk tuks or renting scooters. The east coast islands of Koh Samui and Koh Phangun have a reputation of being party places, but we've heard of a more laid-back place called Koh Lanta on the west side, just south of Krabi. That's where we're headed. 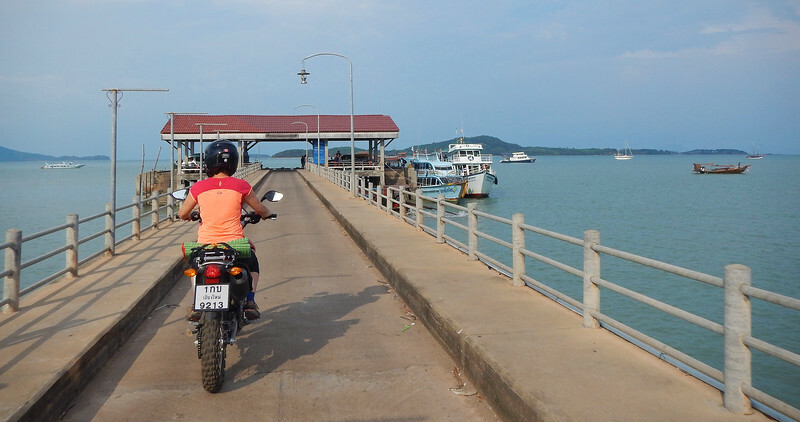 Technically, Koh Lanta is an island, but the ferry crossing is only 1 km across. 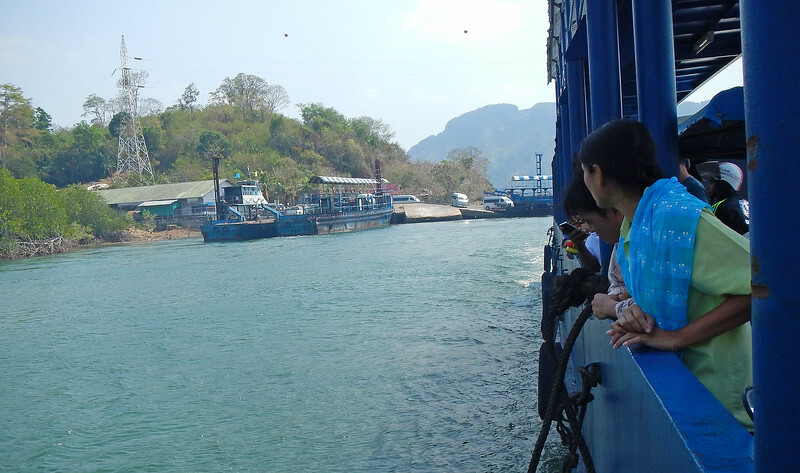 This is actually a two-ferry crossing because the first ferry takes us to a "pre-island" called Koh Lanta Noi. 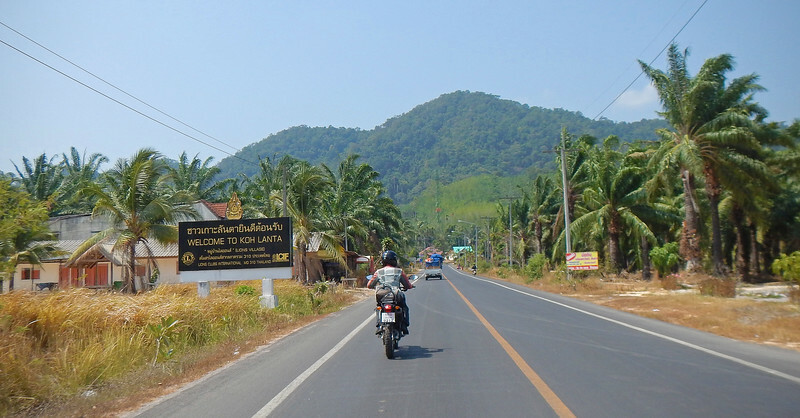 "Noi" means small in Thai, but on the map Koh Lanta Noi looks about the same size as the "large" island. 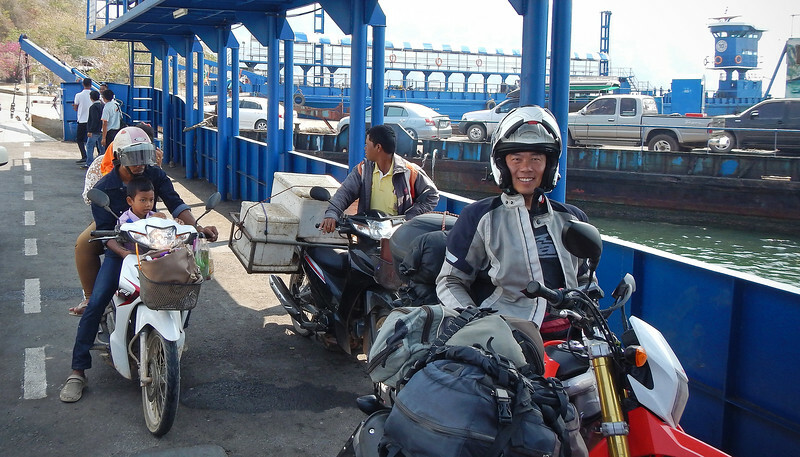 We've taken plenty of ferries before, but this is the first one in SE Asia with our CRFs! There's not much on this "pre-island", we pass by some small villages and then 8 kms later, we're on the other end of the island. 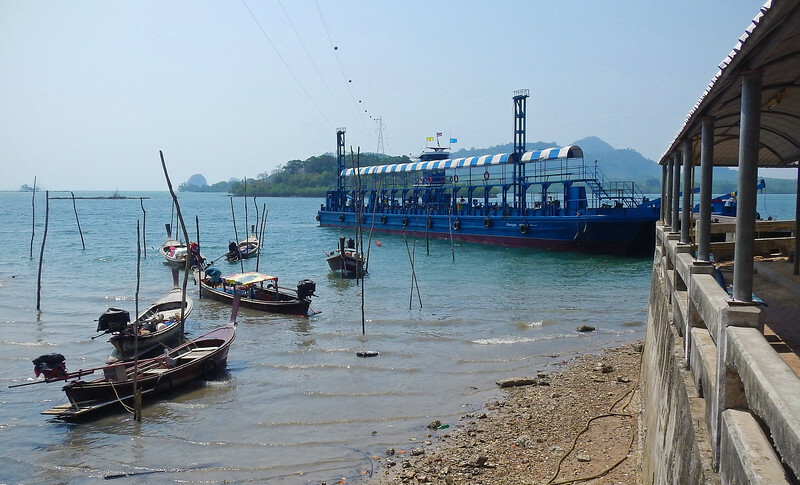 From here, we catch an even smaller ferry. 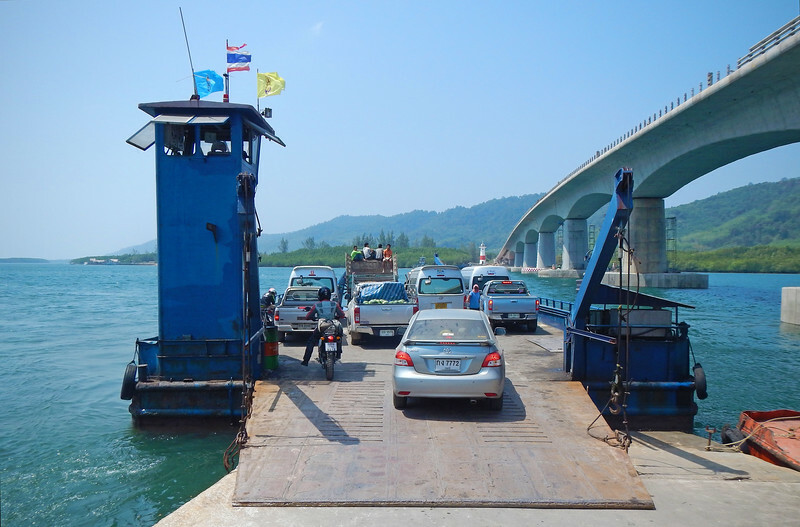 This one is only 5 minutes long and the channel is so narrow that they're in the process of building a bridge to get across it to the main island, Koh Lanta Yai (Yai means large). Once across, we pass through the main town of Saladan. It's tiny! So unlike the metropolitan cities on Koh Samui. 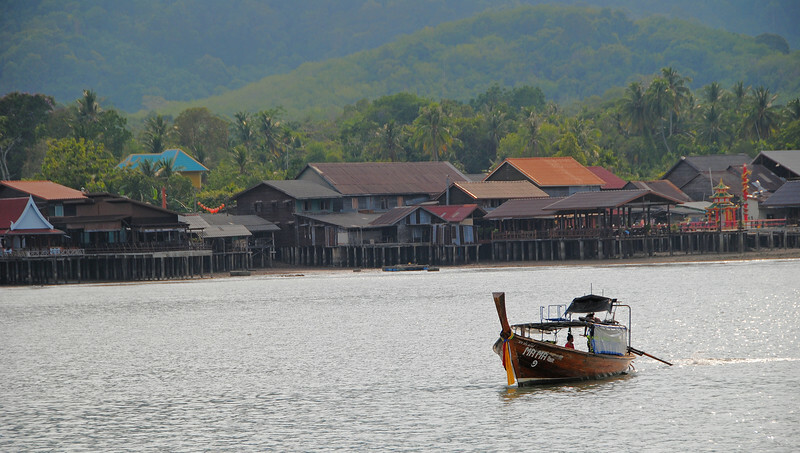 By camparison, Lanta's main "city" is more like a large village. 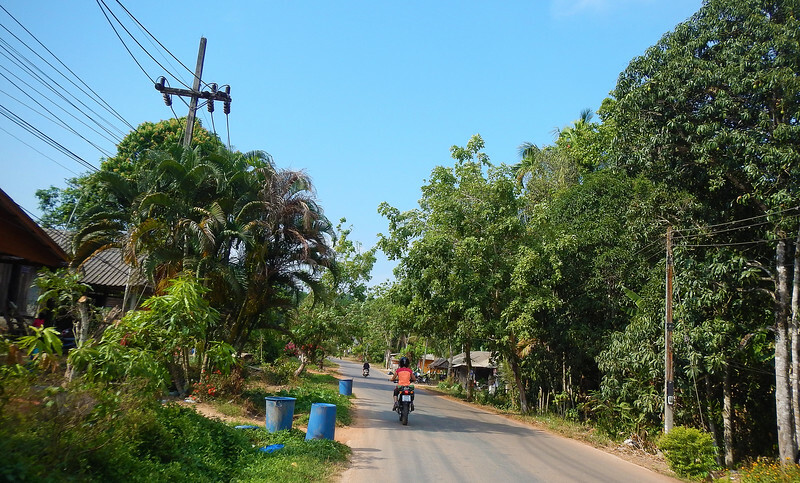 The whole village is maybe less than a km long, and we ride through it almost as quick as we enter it. Our hotel is right in the centre of the island - once again we're staying out in the middle of nowhere because it's cheaper. We're not near any major town and quite a bit inland from the beach. However, the island is only 3 kms at its widest point, so being far away from the beach in our case is really only about 600m. I was really pumped up to hit the beach. 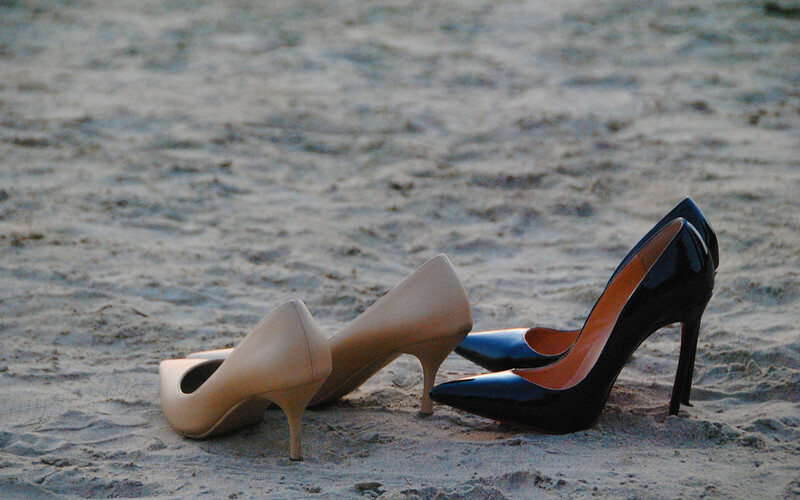 The surf and sand really heeled my sole. The waves are pretty strong, so I was careful not to get sucked in by the undertoe. We stayed till after sunset because the beach itself was still lit though. 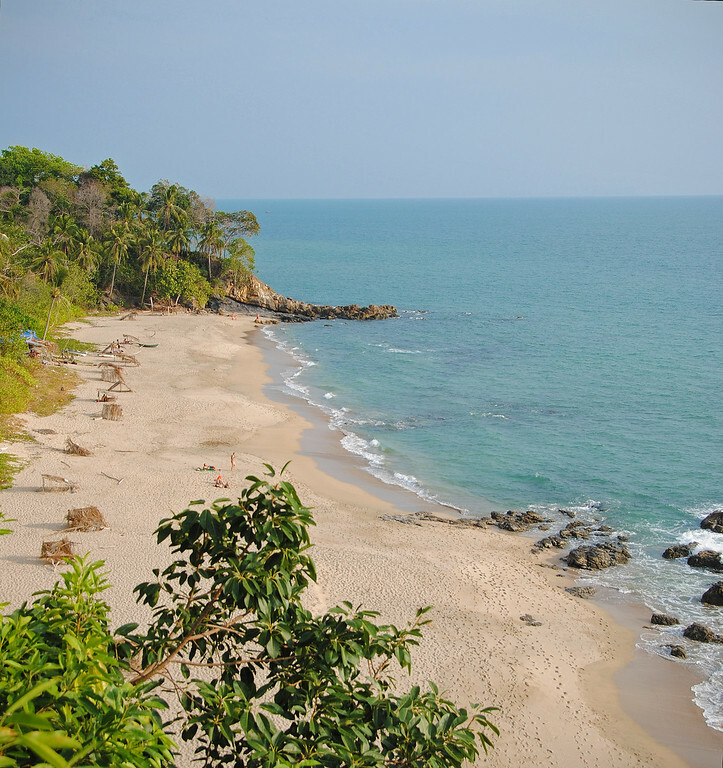 This is the closest beach to us - Phra-AE Beach, or as the farangs call it, Long Beach. 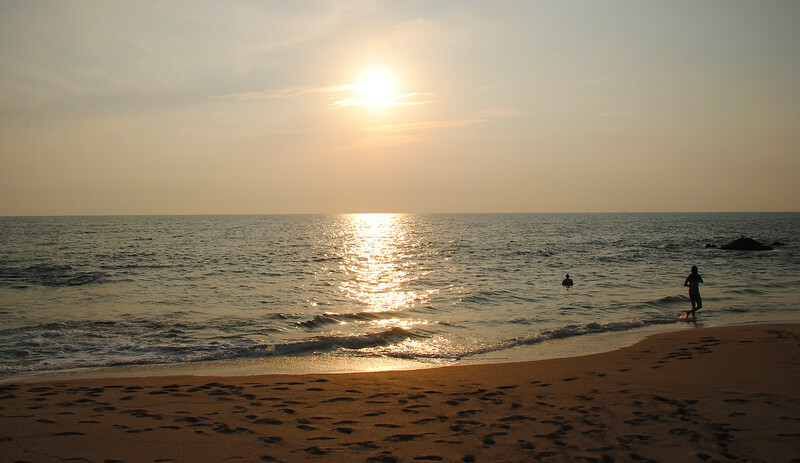 There's about a a dozen beaches and almost all of them are situated along the west coast of Koh Lanta, as if they were all strategically placed for the tourists to watch sunsets. Which is what we do. 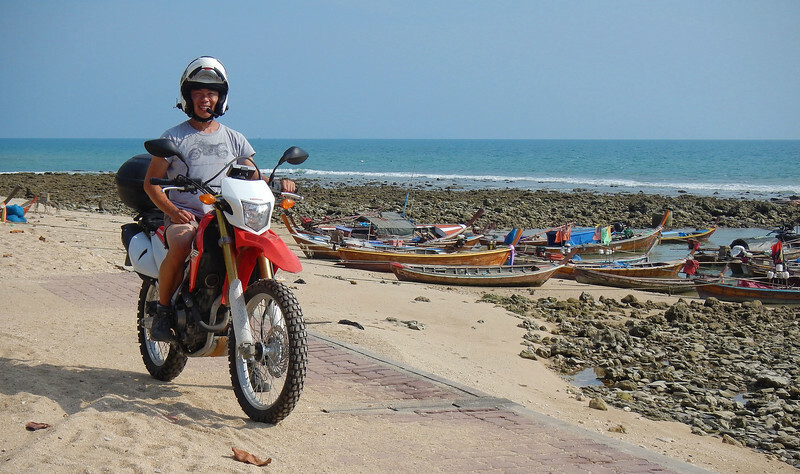 Our stay in Koh Lanta is a bit of trial run to see if we are beach people. We really enjoyed our time on the eastern islands with our friends last week, so much so that we're reconsidering making our permanent home on the beaches in the south, vs the mountains in Northern Thailand. 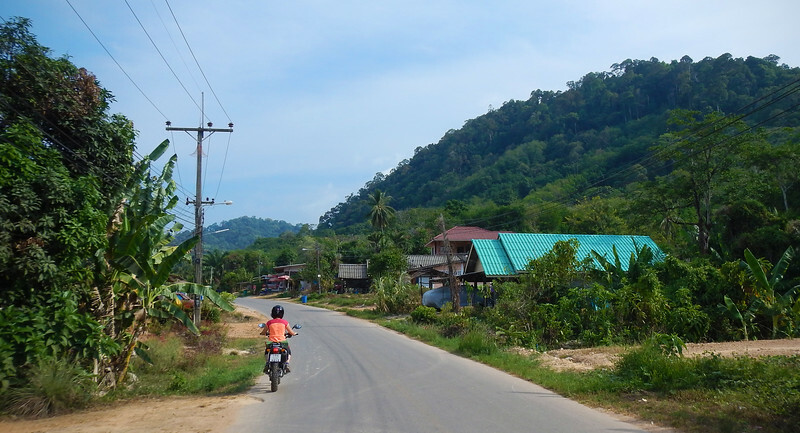 As noted before, despite being the biggest town in Koh Lanta, Saladan is a tiny place. There are the requisite restaurants (we found a nice Indian place to eat), some bars, one supermarket and tons of souvenir shops, but the biggest thing that stands out is that there are almost no western franchises here. It's almost unheard of to not see any McDonalds, Burger King, Pizza Pizza, etc. The only familiar store is the ever-present 7-11, of course. After spending so long in Thailand, I've come to the conclusion that 7-11 is really a Thai-based company, not a US one. 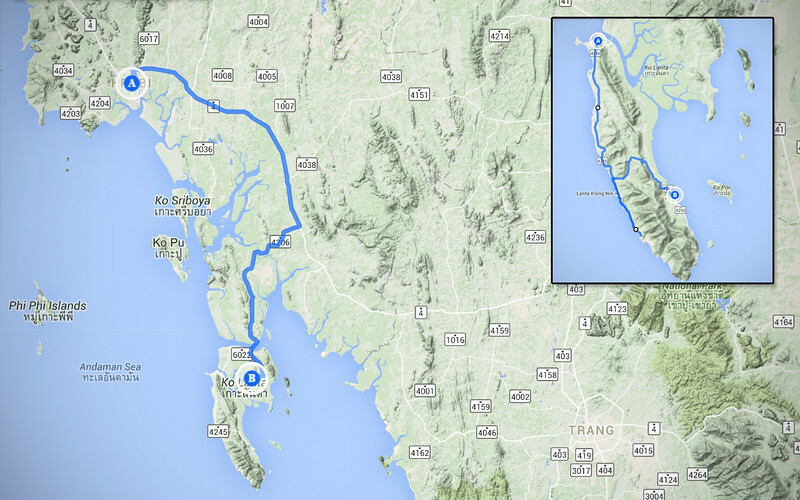 I love that this place is so undiscovered and undeveloped, especially after our experience at Ao Nang. It's like a breath of fresh air. Still a lot more expensive than the north, but I hope no more farangs find out about Koh Lanta. I am starting to see more of the Muslim influence as we near the Malaysian border. On our way to the ferries, we passed by several mosques and we've seen a lot more women walking around in headscarves. It's interesting to note the gradual shift from the Lanna-style temples in the north. The onion-shaped domes of the mosques intermingle with the golden Buddha statues as we ride southwards. 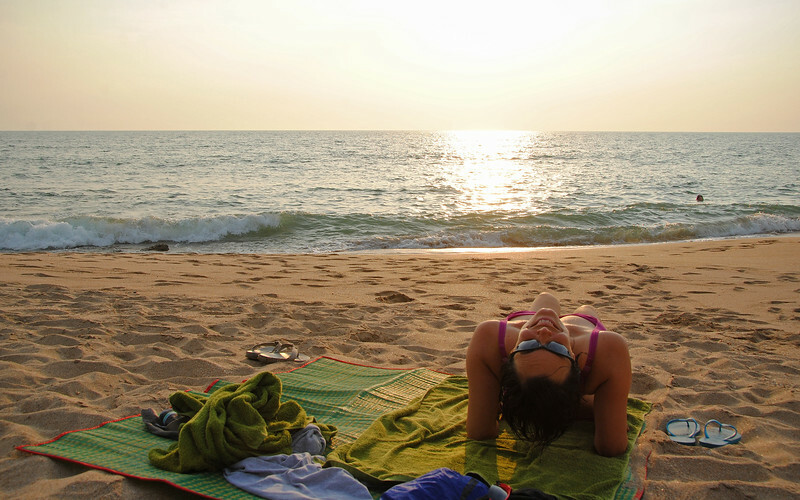 We are taking a few days in Koh Lanta to relax and discover our beach personalities. The early afternoons are way too hot to be outside, so we hide in our hotel room with the air-conditioning cranked and wait till around 4PM to venture out and catch a couple of hours of beach-time before sunset. 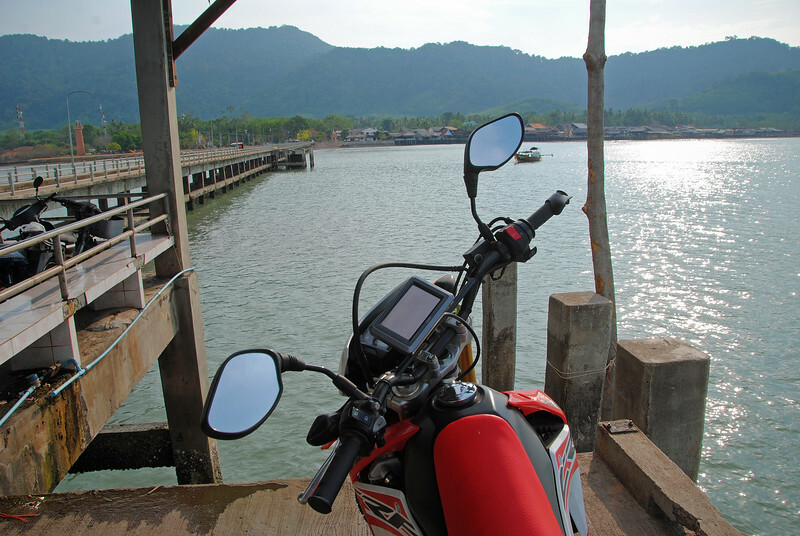 Sun and the beach, warm ocean breeze and two wheels beneath you. Paradise! Although I make it sound like quite a trek, the entire island is less than 30kms tip to tip and it takes less than 45 minutes to traverse the whole length. But because we like to stop and take pictures and walk around, we make an afternoon out of it. Actually, it's really hot. 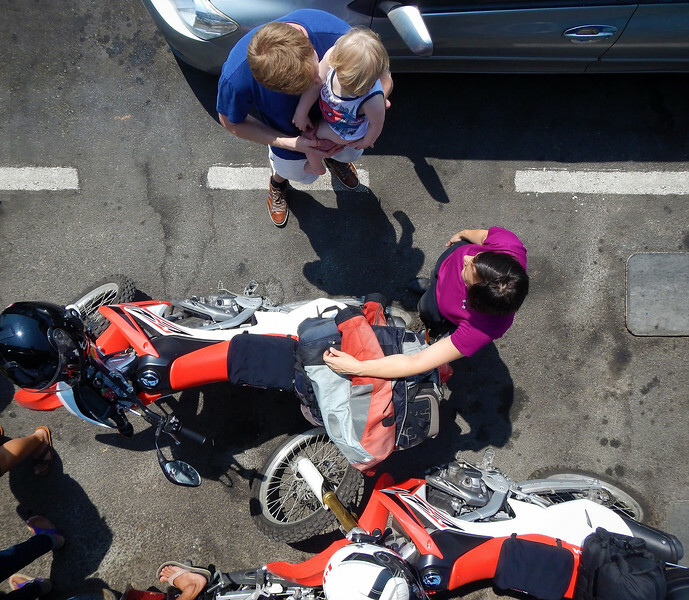 Every time we stop, we need to find some shade. Better just to keep moving! 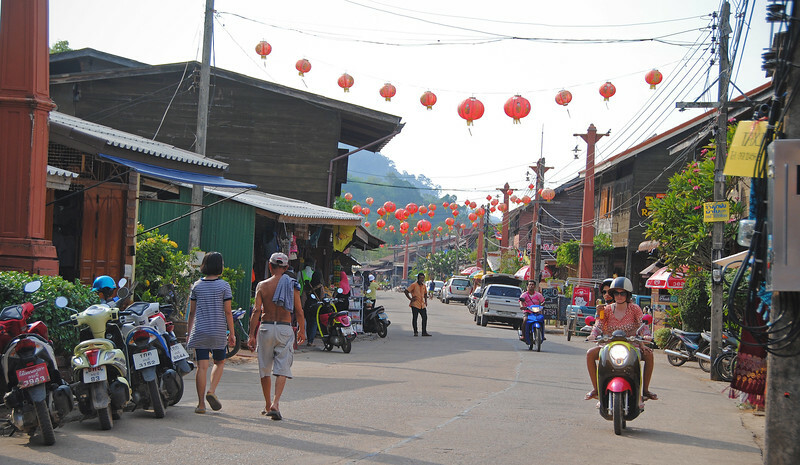 Lanta Old Town is the largest town on the east coast. 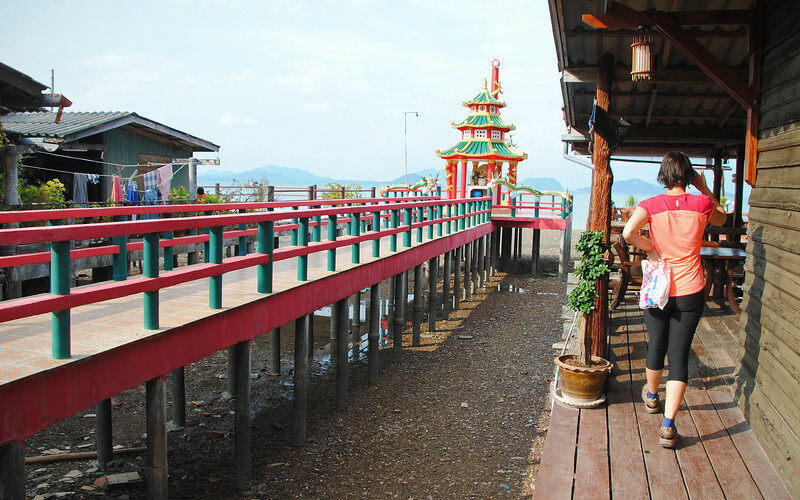 It's a very quaint place - lots of traditional Thai wood houses, the ones situated along the shoreline extend out into the sea and are built on stilts above the waters to give themselves more real estate. Plus the tourists love looking down on the waters when they're sipping their chai tea on the patios! We visited during low tide, but it must look very pretty during high tide with the waters lapping away just below the boardwalks that are built on these stilts! 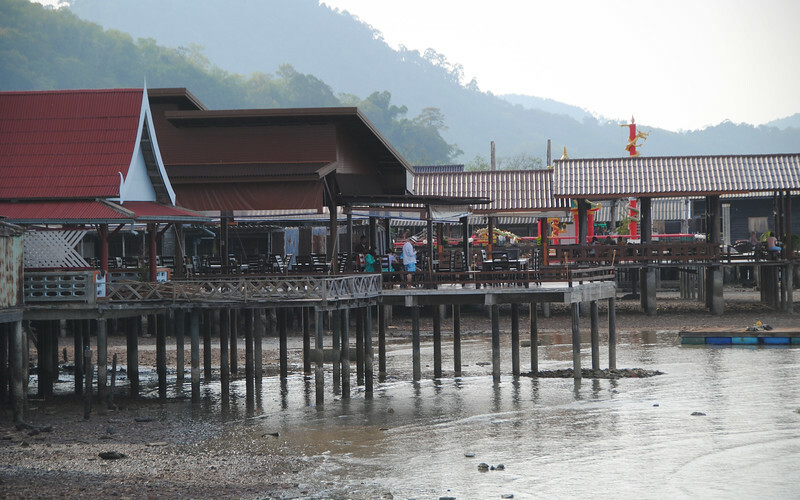 Lanta Old Town used to be a trading post and port for the vessels going between Penang, Phuket and Singapore. 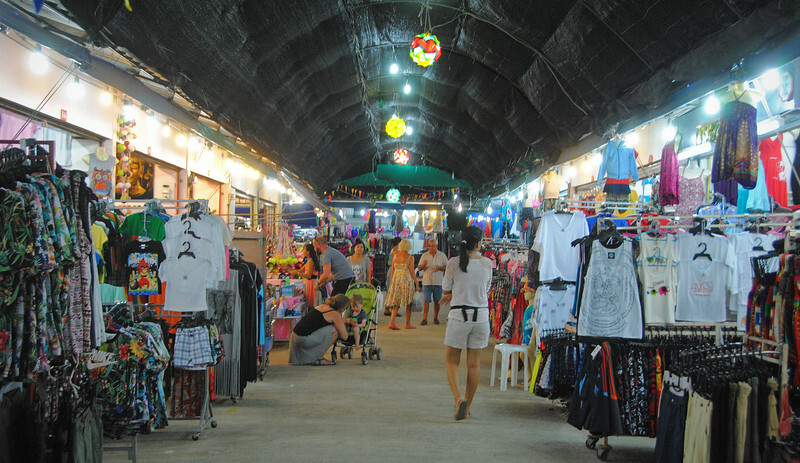 The shops reflect this cultural diversity, lots of Chinese influences mixed in with the batik stores and the Thai fishermen on the pier. Did you notice the beach mat strapped down on Neda's back seat? That great ball of fire in the sky has dipped low enough that it's time to hit the beach again! We ride back to the west coast in our search for the perfect sand. We've not been this far south before, and we find an awesome secluded beach (best one yet). 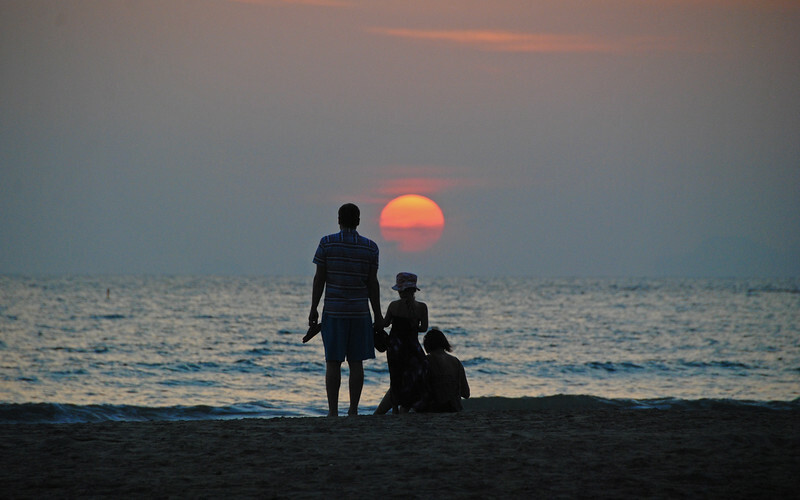 I prefer the beaches on Koh Lanta more than the eastern islands. Much less crowds and no vendors along the shore. There's not a lot of nightlife on the island, which suits us just fine. If you come here, there's only one thing you can do: sit on the beach and relax. "Sit on that rock over there." 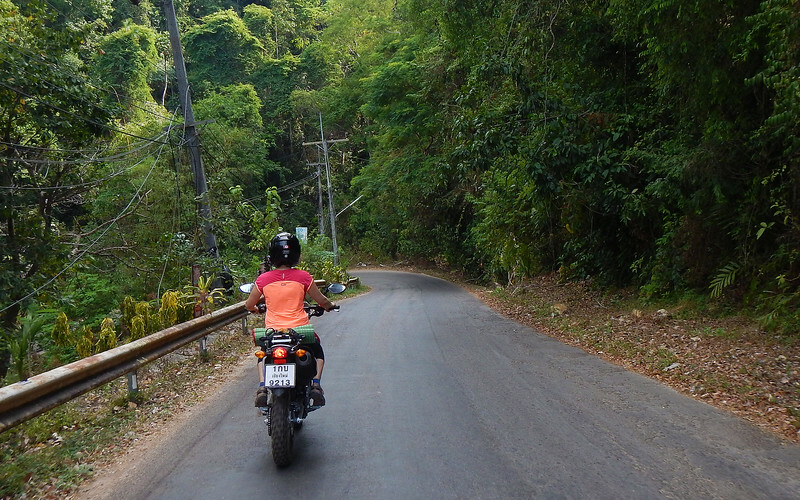 We've spent six nights on Koh Lanta. Every day, we've developed a little routine: Neda does some cross-stitching and reading outside on the patio in the early morning till it gets too hot. I sleep in, only waking up when she comes in out of the heat. Then we hide from the afternoon sun in our air-conditioned room only to venture out to catch the last couple hours of sun. From one of the many beaches on the coast, we take our seats on the warm sands to view yet another golden sunset. Then a nice dinner somewhere and repeat the next day. Sounds ideal? Not really. It's kind of boring. We're not beach people at all. 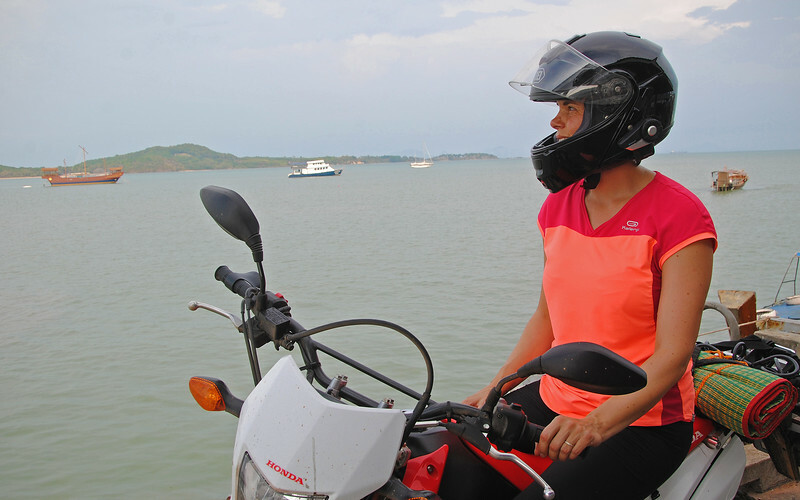 Neda is suffering a lot from the heat and we've figured out that the real reason why we had so much fun on Koh Samui and Koh Phangun wasn't the surf, the sand and the ocean breezes. It was because we were hanging out with our friends. Without them, we're just hot and uncomfortable most of the time. And bored. 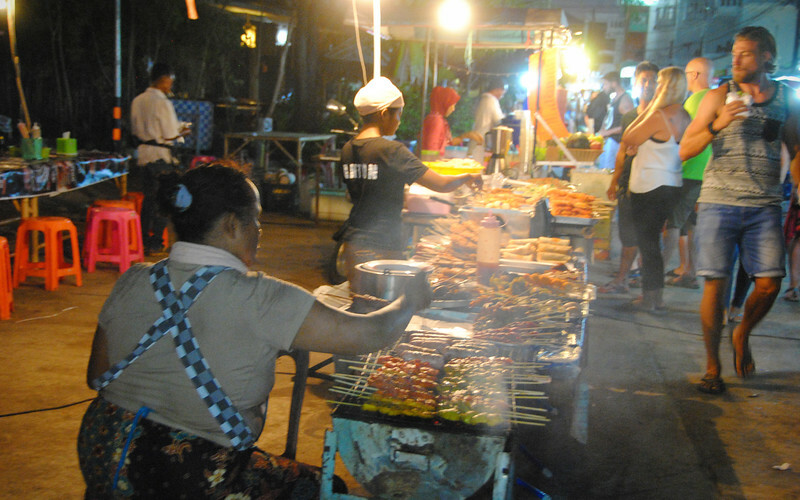 When I look back on our life in Chiang Mai, we really like all the options that a moderate-size city affords us: hiking club, yoga studio, camera club, volleyball club, a huge supermarket with lots of different food, twisty mountain roads to ride, but most of all a cool, temperate climate. Well, at least we know now. But before we settle down, there's still more to see. Onwards, we go!